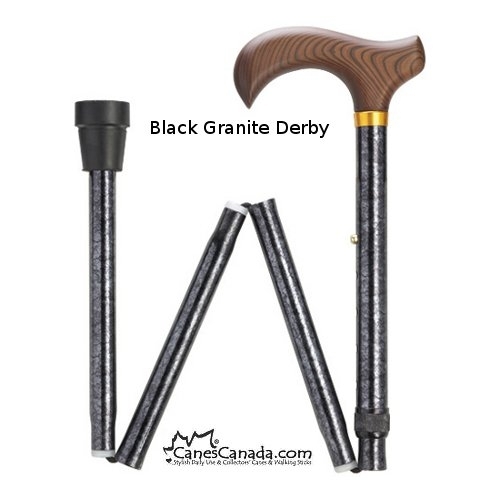 0526-58 Black Granite Derby - A folding cane is great for people who need a cane from time to time or for those who are traveling. 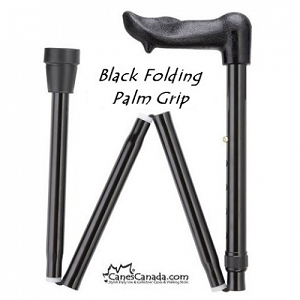 With the ability to fold up and store in a purse, back pack or pouch, a folding cane is a very handy item to have. 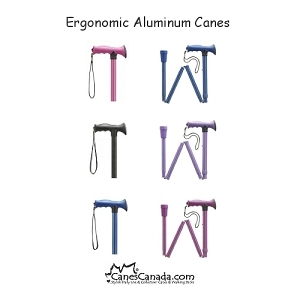 Our folding canes are constructed from strong light-weight anodized aluminum with a lock nut which adds to the strength of the construction as well as to the life of the ring. Folded Length - approx. 12"
With a complicated recovery after a knee surgery, I needed something low-key and portable for my transition back to regular mobility. 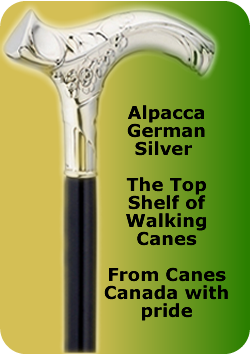 This cane was inexpensive, high quality, collapsable, and adjustable. It was also cut to the perfect height by Canes Canada and was received within a couple of days from Alberta to Ontario. Heck, it even looks good too... might have to buy myself a matching top hat now! 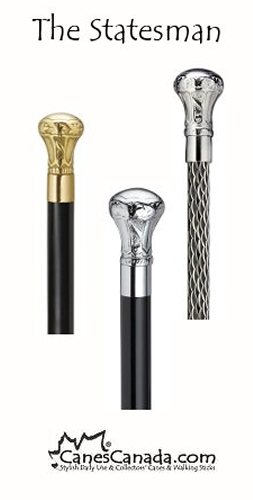 The cane, although having the convenience of being collapsible, has the strength and ruggedness of an ordinary cane. No regrets at all for having purchased it. Looks really goood, goes together really easy, small enough for a pack, very comfortable in the hand. 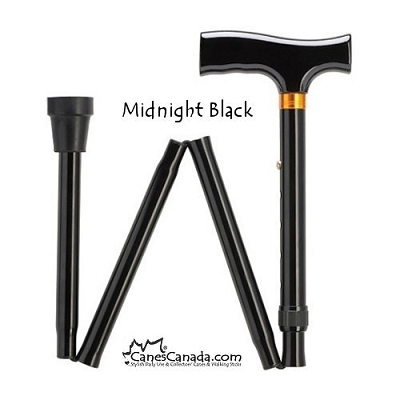 ***Please note this review has been entered on behalf of a Canes Canada Customer, as the review was received from the customer via email*** My cane arrived very soon after ordering, has been tested, and is much appreciated. 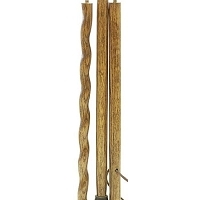 It is sturdy and reliable (I am 6’ tall, and weigh 98 kg! 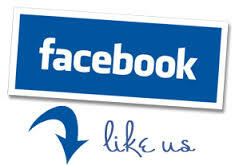 ), light-weight, and will pack into a suitcase or backpack. Just the thing for a limping tourist! Thanks for your efficient service.